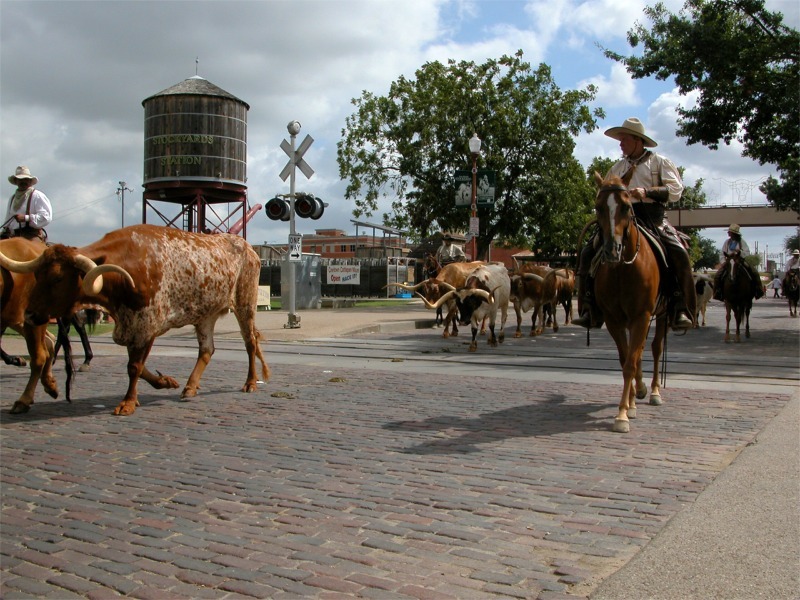 click photo to enlarge This is looking down Main Street in the Fort Worth Stockyards. 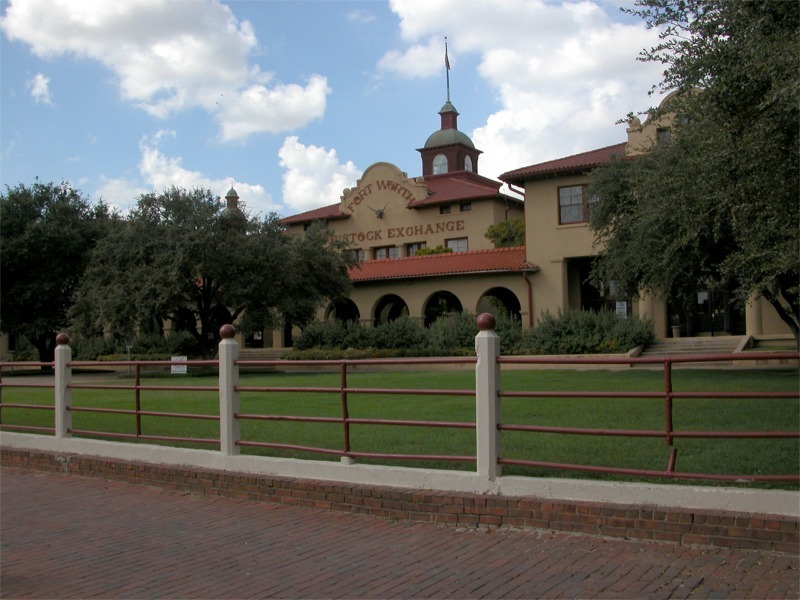 The area was designated a national historic landmark in 1976. 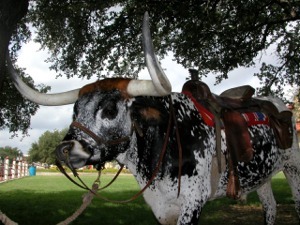 In the 1850's and 60's longhorn cattle roamed free in the surrounding areas. Cowboys would round them up, brand them and drive them north to sell. 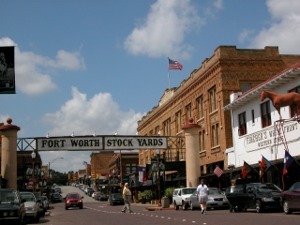 The area became known as cowtown. click photo to enlarge This is the Coliseum started in 1907 and completed in 1908. Today it is used for indoor Rodeo and other events It can seat over 2000 people. It is also air conditioned. click photo to enlarge The Livestock Exchange building was built around 1904. In the early 1900's the Forth Worth area saw tremendous growth in livestock related industries. Grain and feed, meatpackers and pharmaceuticals. Behind this building pens with brick floors were built to house up to 25,000 animals. The pens were build like a giant maze. click photo to enlarge Friendly looking guy huh? You could climb up on him and have somebody snap your picture. 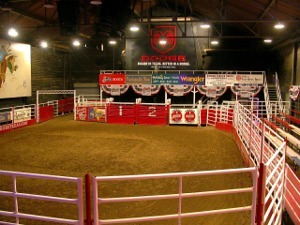 Billy Bob's, the worlds larges honky tonk has live bull riding every Friday and Saturday night in this indoor arena inside the bar. 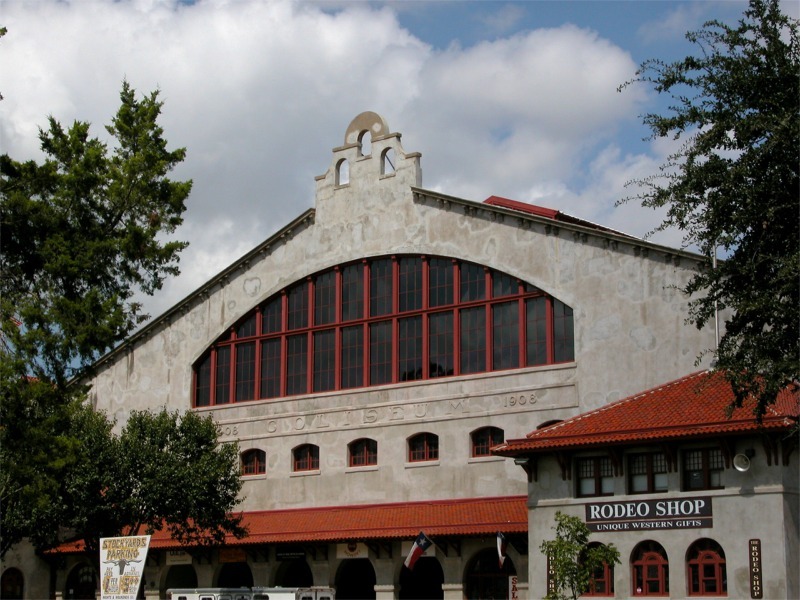 Anybody who's anybody in Country music has played at Billy Bob's. They can hold 6,000 people for concerts. Instead of a ball with mirrors on it over the dance floor they have a saddle. Unfortunately we only had an afternoon in the Forth Worth area. 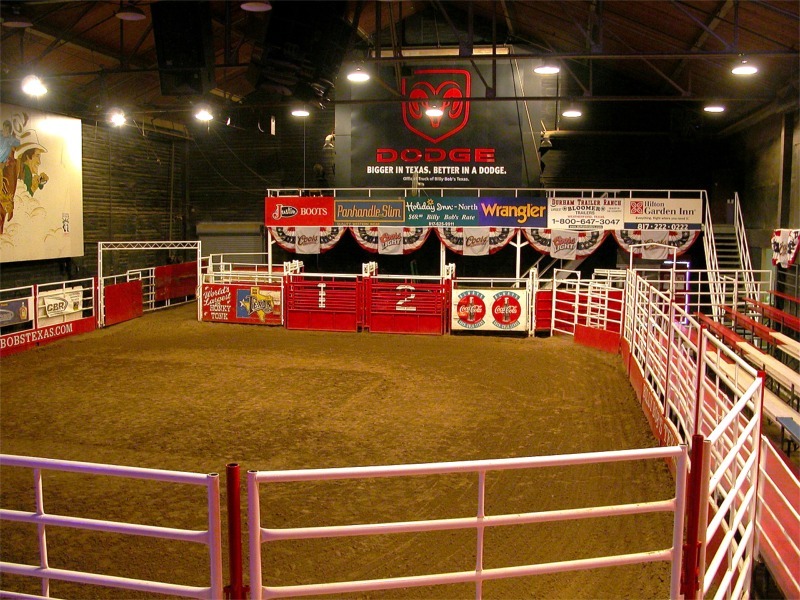 I would love to attend a bull riding session on a weekend. Twice a day the have a small cattle drive down the streets of the historic area for the tourists.